As the owner of Neutec® casting, grain-making or laser-welding machines, you have access to emergency service 24 hours a day, 7 days a week. Though the rugged dependability of Neutec equipment makes such circumstances rare, it is comforting to know the support is there should you need it. Our factory-certified dealer technicians are available worldwide with expert casting, graining or laser-welding advice, a complete technical staff, and access to resources across the network. Service parts and consumables are readily available—with same day shipment. You won't find more complete support or more dedicated service anywhere in the world than you find every day at Neutec/Rio Grande™. With decades of combined, hands-on experience, there is no faster or more certain resource for your laser-welding, grain-making or casting questions or challenges than the Neutec® team of field service engineers (FSEs). 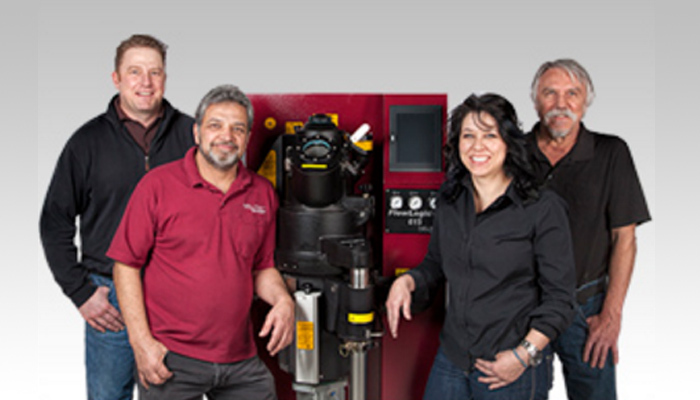 Available to Neutec equipment owners 24/7, this team of experts helps you get the best possible results with your Neutec laser-welding, grain-making or casting equipment. Neutec/Rio Grande™ is a world leader in the manufacture of lost-wax jewelry casting equipment (grain-making and casting machines) and laser-welding machines, as well as the accessories and supplies that support them. We understand that for both one-of-a-kind designer shops and high-volume production facilities, achieving high quality involves a unique set of challenges. Resolving these challenges quickly and getting it right are crucial to your success. Whether you cast hundreds of flasks a week or just a few, it's the quality of each cast that counts and Neutec/Rio Grande delivers the dependable, repeatable performance your processes need. Neutec/Rio Grande™ is a world leader in the manufacture of lost-wax jewelry casting equipment (grain-making and casting machines), laser-welding machines, as well as the accessories and supplies that support them. We understand that for both one-of-a-kind designer shops and high-volume production facilities, achieving high quality involves a unique set of challenges. Resolving these challenges quickly and getting it right are crucial to your success. Whether you cast hundreds of flasks a week or just a few, it's the quality of each cast that counts. Neutec casting machines produce the most consistent results in the world cast after cast. Learn about this superior equipment, see a variety of casting accessories and supplies, and access information you can use to help you select the machine and accessories that are right for your production needs. You expect your investment in state-of-the-art manufacturing technology to return a profit. Now and in the future. Neutec helps you make that happen.Have a question? A tricky casting situation? A puzzling issue? As a Neutec customer, you’re never more than a phone call away from fast, friendly, expert advice and expert know-how that can make all the difference to meeting your schedule on time and on budget.